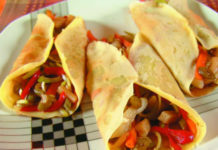 Miami Food Trucks Are All Gathering Around Brickell Honda on Wednesday Nights! So by now you have probably heard all the craze going on about Food trucks or you are probably curious about what all the hype is. 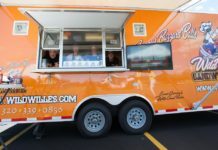 Food Trucks have been around for decades; however, lately they have been gaining huge popularity in cities like New York, LA, Portland, and Miami. What the big deal right? Well if you’re the type that is tired of having lunch at the sandwich place down the corner or any normal daily lunch routine, then this is for you. 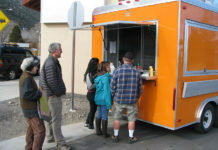 All you have to do is log on to your computer or phone and find out where the Food Trucks are going to be at and stop by whenever they are in your area. Social Media has really been the driving force behind the “Food Truck Boom.” Almost every food truck is constantly checking their Facebook and Twitter and updating their location and menu constantly. Mobile apps like FourSquare, allows anyone to check into any geographic location and allows all your friends to track where the funs all at. This has allowed Food Trucks to develop a strong fan base in Miami that follows them daily and comes out to eat whenever they are in the area. Miami has hopped onto the hot trend and is in full swing with Food Trucks moving daily all around the city. Lately, a popular hot spot to catch usually 8 or more trucks is in the Brickell area by Downtown. 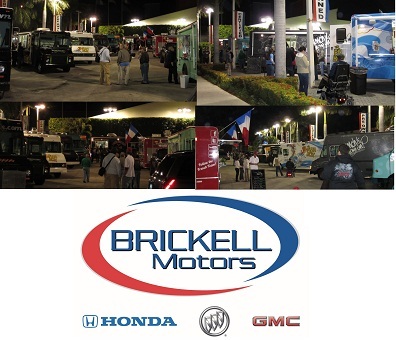 Every Wednesday nights, Brickell Motors hosts as many trucks as they can fit between 5:00 – 10:00 PM. It’s like having the ultimate Food Court with Fresh and original food. Brickell Motors, usually has some of the most popular food trucks like; Latin Burger, CheeseMe, La Camaronera, Dim Ssam A Gogo, The Fish Box, gastroPod, MexZican Gourmet, Mrs. Cheezious & many more. Stop by and visit all the great Food Trucks that Miami has to offer at 665 SW 8th Street, at Brickell Honda! For more information, check out our Brickell Honda Facebook page and please don’t forget to Like Us.